"Community Engagement is Not Giving Them What We Think They Want." and then programming that with them. Over the last decade, the arts world has entertained much discussion of "engagement." The word is used by people to mean many things. This had led to confusion, frustration, and the tendency to dismiss community engagement as a trendy distraction. In particular, the use of the word to mean audience development, audience engagement, or community engagement has muddied the waters. All three are vitally important to the future of the arts. To have a discussion of and effectively practice each, definitions that differentiate among them are essential. The definitions used by ArtsEngaged are found below. In addition, community engagement is not a "natural act" in the arts world descended from 18th- and 19th-century European models, despite the fact that the origin of the arts was in communal (and community) expression. The socio-economic and political history of patronage removed the arts from those roots. Artists and the arts industry, with some important exceptions, have not been trained nor do they have significant experience in the skills required for substantive engagement. The knowledge and skills required for effective community engagement are not part of traditional training in the arts or in arts administration. 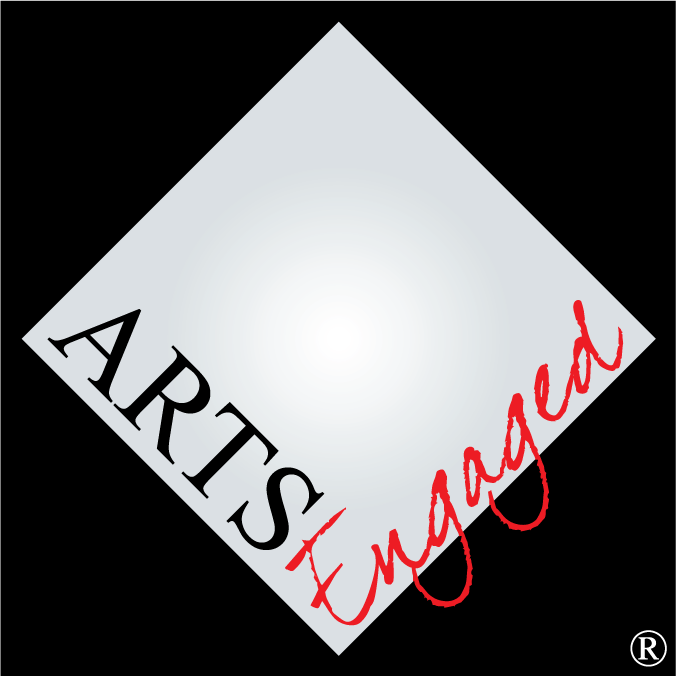 ArtsEngaged exists to provide that training and to aid the arts world interested in becoming more deeply focused on community engagement. The resources referenced on this page are intended to guide those concerned with helping their organizations, and the arts in general, become indispensable to their communities. Nonprofit arts organizations are facing an existential crisis stemming from skyrocketing expenses, rapidly changing demographics, and vastly altered social expectations. The survival of arts organizations hinges on their ability to engage effectively with a far broader range of their communities than has been true in the past. The process by which arts organizations connect with communities is called community engagement. Effective community engagement begins with an organizational commitment to it. Half measures or “funder-made-me-do-it” projects will quickly wither on the vine. Communities easily detect insincerity. Only after a commitment is made is it time to think about “doing” community engagement. There is no one correct approach to community engagement. However, general principles apply and a generic process template/outline can serve as a guide. The key stages are Planning, Preparing, and Partnering. Evaluating community engagement is difficult because it is in its infancy as a practice for arts organizations. As such, it is no surprise that techniques of evaluation specific to it are not nearly as advanced or as systematized as those available for fundraising, marketing, or other arts management functions. Advocates for community engagement in the arts often get pushback from people who assume that concern for the interests of our communities necessitates a “lowering of standards.” Excellence is a goal for many, if not most, categories of work. For the arts, dealing with basic questions of human existence and well-being, it is essential. However, objectively evaluating excellence is extremely difficult. Any art is culturally specific and the question of excellence is inevitably rooted in the culture from which that art springs. In addition, there are many types of excellence, many if not most of which are important to the future of the arts. Conversations about excellence and community engagement in the arts are difficult because they have to consider the cultural context of the works in question as well as acknowledge the broad range of types of “quality” that should be considered. (See “Excellence and Community Engagement.”) In addition, for effective work in community engagement, awareness of historical inequities and respect for our communities are essential; these factors then also have an impact on how we understand excellence in this work. Or even simpler: A group of people with something in common. Activities undertaken by an arts organization as part of a marketing strategy designed to deepen relationships with current stakeholders. The purpose is, over time, to improve retention, increase frequency, and expand reach through stakeholder networks. Principal beneficiary of direct, intended outcomes: arts organization. Arts activities designed to serve community interests. Principal beneficiary of direct, intended outcomes: community. Activities undertaken by an arts organization as part of a mission strategy designed to build deep relationships between the organization and the communities in which it operates for the purpose of achieving mutual benefit. It is accomplished by developing trust and understanding through which reach can be expanded. This results, over the long term in increased ticket sales and financial support as well as more arts-friendly public policy. Principal beneficiary of direct, intended outcomes: community and arts organization. Activities undertaken by an arts organization as part of a marketing strategy designed to produce immediate results that benefit the organization: sales, donations, etc. Principal beneficiary of direct, intended outcomes: arts organization. Community engagement that creates change in the arts organization–programming, organizational processes, and/or modes of thinking. The root of such engagement is community learning: learning about the needs, interests, even personality of the community the arts organization is attempting to engage. If an organization is not doing anything differently as a result of its engagement efforts, it’s not focused on the community. It’s focused on itself. It is only transformative engagement that builds an arts organization’s relevance. In any healthy relationship, all participants are changed as a result of the relationship. This is also true of relationships between arts organizations and communities. Effective, successful community engagement is therefore transformative. An attribute (or state of being) that communities seek–citizens actively involved with community life. The impetus for encouraging civic engagement could come from community leaders, grassroots advocates, or anyone (including artists and arts organizations) concerned with collective well-being. The big question in all of the above is who is doing what for whom and toward what end?